As a working mom, we often tend to neglect caring for ourselves. Yes we might go for a monthly visit to the parlour for the basics, but that's more or less it. Juggling between office and home leaves me with little time to indulge in a pedicure or manicure and hence my feet had become very rough and coarse. It was a 'not-so-gentle' reminder when Himalaya sent their FootCare cream across, that it was high time I did something about my feet. I am a very lazy person, to be honest and if I am told that I have to do something that is too tedious or required a lot of effort I end up not being consistent with it. 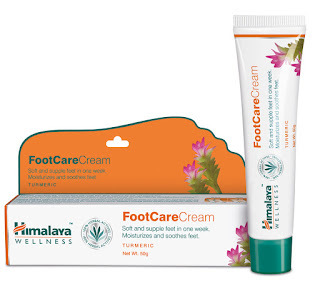 Himalaya's FootCareCream cares for your cracked heels and rough feet with natural ingredients. Enriched with the goodness of Honey, Turmeric, Fenugreek seeds and Sal Tree extract, this cream leaves your feet feeling soft in one week. I have used the product for about 10 days not, but not religiously every morning and night but try to remember as often as possible. The most important part of the directions, I feel, is to wash the feet with lukewarm water, because it helps soften the feet and open the pores so that the cream can be more effective than just applying it like that. So in the morning it's easy, since I have a bath with warm/hot water and then apply the cream. But at night you have to push yourself to wash your feet with warm water, if it's not a habit already. The plus point is that it relaxes you after a hectic day running around, so just dip your feet in warm water and sit for 5 minutes! You can even add some aromatic oil in your water to make the experience fancier if you prefer. You are also recommended to apply the cream generously on all the affected areas, so do massage it in really well for a good five minutes or else the cream does not get absorbed and if you walk instantly, you will be leaving marks all over plus it won't have as much benefit to your sole too. A good idea is to do the regime just before you sleep so that the cream can soak in easily, in the mornings do massage and then wait for a couple of minutes. So, in the last ten days I have applied the cream on and off, sometimes the complete regime at night sometimes just applying the cream in sheer laziness (don't be lazy like me okay). At first I thought I won't manage to see any difference since I am not following it properly, but yesterday I noticed that my feet are feeling a lot softer than before. Earlier they were so rough I hated touching my own feet and would be embarrassed to wear open flats or let my husband notice my feet (his were probably better than mine, trust me). I am so happy, I promised myself to continue obediently till my feet are completely soft and smooth like my little one's! 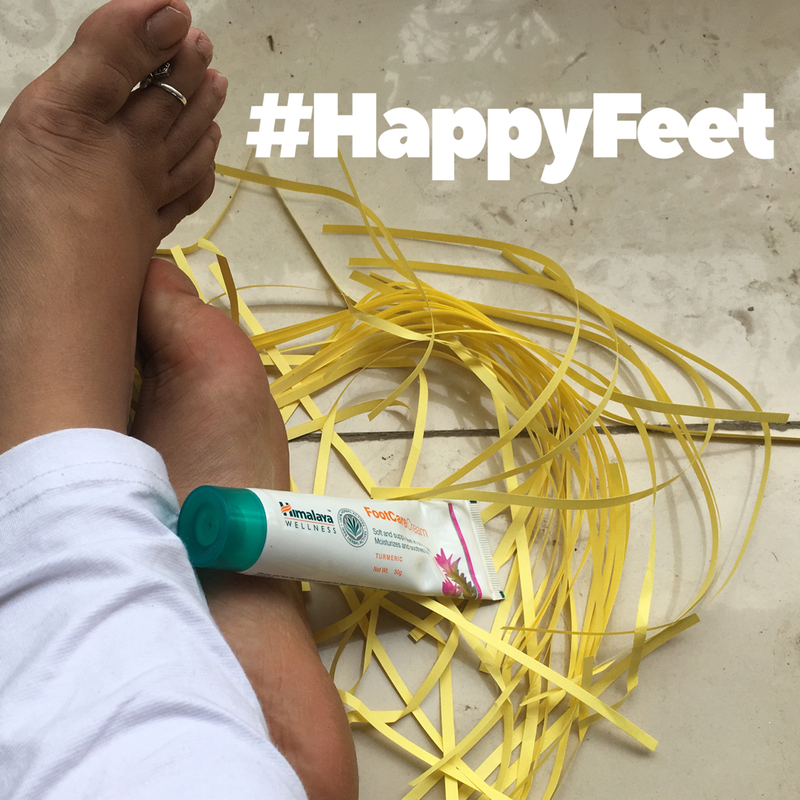 Do try it out and take the 'Happy Feet' challenge yourself. Available in compact 20g and 50g tube packing at Rs.50 and Rs.110 respectively. I think the 20g one will be perfect if you're a frequent traveller!